Eiko's A Body in Places will come to University of Toronto in multiple formats over the course of March and April, through (1) Photo Exhibitions – March 4 to April 14; (2) A Body in a Library Performance by Eiko Otake – March 15; (3) Video Screening and Symposium – March 16. All three are free of charge. Registration is required ONLY for the the third part – Video Screening and Symposium. Registration and more information here. From March 4, 2019 through April 14, 2019, the photo and video installation, A Body in Fukushima will be on view in two libraries, the Robarts Library and the Toronto Reference Library. These images chronicle Eiko and photographer William Johnston's multiple visits to irradiated Fukushima, the area devastated by the earthquake, tsunami, and nuclear meltdowns of 2011. 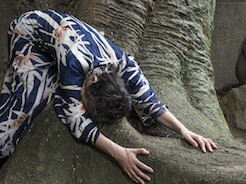 On March 15, 2019 at 5:15pm, Eiko will perform another iteration of her A Body in a Library in the atrium of the Toronto Reference Library. In all of her performances as a part of A Body in Places Eiko uses her body to make distance malleable, collapsing space and bringing the urgency of nuclear matters into ordinary places. 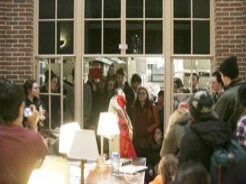 This performance in a library will be one of many that have occurred on her tours and visits to universities over the past several years. The performance will be immediately followed by a Q&A. On March 16, from 1pm to 5pm, University of Toronto will hold a symposium open to the public at the Innis Town Hall, entitled "A Body in Fukushima: Reflections on the Nuclear in Everyday Life," followed by a reception. 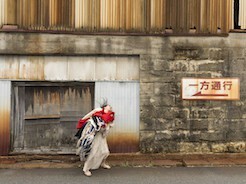 Eiko will share a video work and participate in a facilitated dialogue with William Johnston, moderated by Tak Fujitani. Symposium participants will also include Setsuko Thurlow, Lisa Yoneyama, Marilyn Ivy, Tong Lam, and Katy McCormick. Register here.